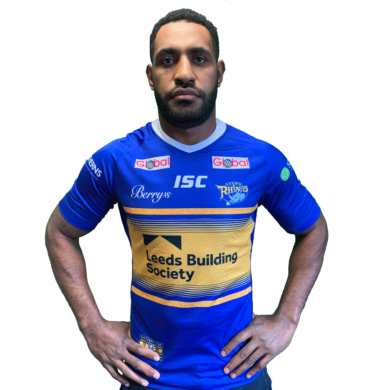 Papua New Guinean international Wellington Albert joined Leeds Rhinos for the 2019 season after initially arriving at the club for a one month trial after his former club, Widnes Vikings, went into administration. The prop joined Widnes from PNG Hunters ahead of the 2018 season and made 12 appearances in his debut season with the Vikings. The Papua New Guinea international has played in two World Cup competitions – in the 2013 and 2017 tournaments. In 2013, he came off the bench against New Zealand at Emerald Headingley and scored a try in the final minutes of the game. He followed that up in 2017 with appearances against Wales and Ireland. Albert was the first Papua New Guinean player to be signed by an NRL club without having played junior rugby league in Australia when he signed a deal with Penrith Panthers back in 2014. He originally played at Lae Tigers. He has earned five caps for the Kumuls. Albert represented the Panthers at National Youth Cup level and in the Intrust Super Premiership, before joining PNG Hunters in 2017. He made his Leeds Rhinos debut at Hull KR on 4th April 2019.